The 2019 Honda CR-V is a bestselling SUV that has continuously been the top choice for customers who need a versatile, dependable, and functional family vehicle. The extraordinary all-wheel drive system offers the performance you need for taking on inclement conditions, and the well-equipped interior helps to create a comfortable daily ride. Continue reading to learn more about the 2019 Honda CR-V! What are the powertrain options available with the Honda CR-V? The new 2019 Honda CR-V continues to be the most versatile and stylish SVU on the market. This beloved vehicle is known for offering a dynamic and powerful ride, with available all-wheel drive maximizing the performance for inclement conditions. The standard engine that powers the CR-V is the 2.5-liter inline-4. It delivers 184 horsepower and 180 lb-ft of torque. Alternatively, Honda offers their 1.5-liter turbocharged inline-4 engine that has 190 horsepower and 179 lb-ft of torque. Both engines utilize a standard Continuously Variable Transmission automatic (CVT). The CR-V is also available with either front-wheel or all-wheel drive. When the CR-V is properly equipped it can offer a maximum tow rating of 1,500 pounds. Can you tell me more about the trim lineup? The 2019 CR-V is available in four fantastic trim levels: LX, EX, EX-L, and Touring. The base LX trim level features highlights like Bluetooth wireless connectivity, a 5-inch color screen, and cruise control. The EX trim adds dual-zone climate control, heated front seats, moonroof, a 7-inch infotainment display, push-button start, and compatibility for Android Auto and Apple CarPlay. The excellent EX-L trim has a power tailgate, leather seating, an auto-dimming rearview mirror, 8-speaker audio system, and HomeLink universal garage-door opener. The Touring trim, which is the highest trim, adds wonderful features like navigation, a convenient hands-free tailgate, rain-sensing windshield wipers, LED headlights, roof rails, and eye-catching dual chrome exhaust outlets. The amazing Touring trim also features a 330-watt/9-speaker premium audio system. You can learn more about the innovative safety features in the next section! Is the 2019 Honda CR-V a safe vehicle? Yes! Honda is one of the most respected brands when it comes to prioritizing the safety of every ride. Each trim level of the CR-V features innovative driver assistance systems. The CR-V comes standard with a rearview camera. 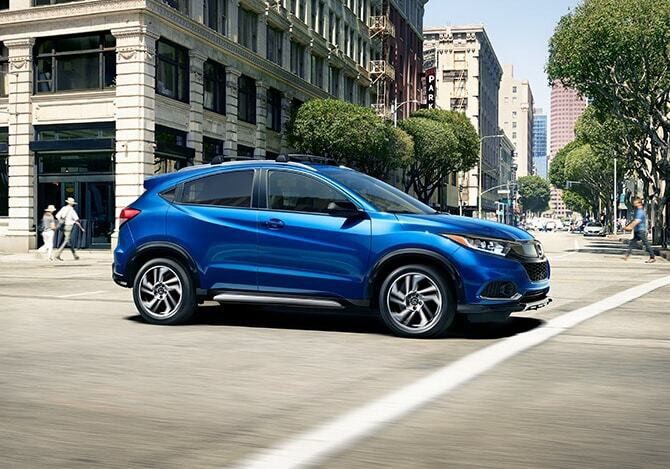 The Honda Sensing suite of driver assistance comes standard on the EX and higher trims. 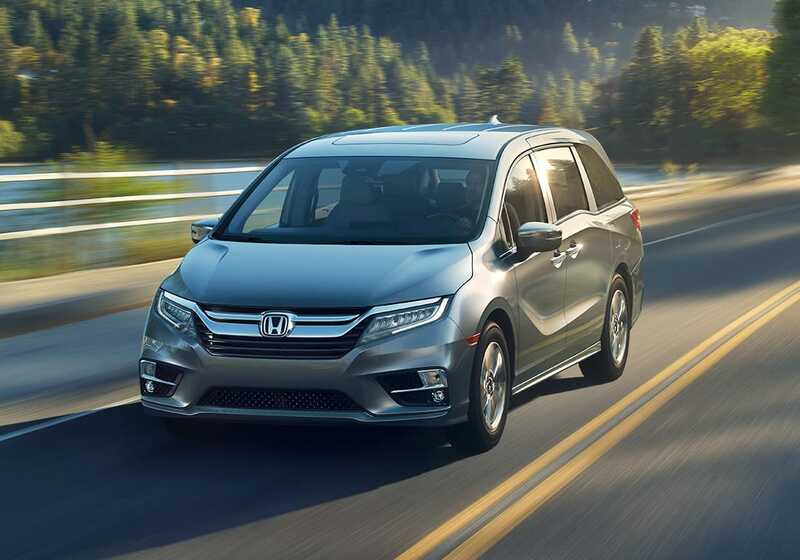 Honda Sensing equips the CR-V with adaptive cruise control, lane-keep assist, collision-mitigation braking with forward-collision warning and pedestrian detection, and blind-spot monitoring. With a dedication to performance, safety, and fun the new 2019 Honda CR-V is the ultimate choice for the new year. It is loaded with a wide range of great features both inside and out, and each trim level provides an unmatched value. It is a perfect family vehicle, as Honda has equipped most trims with the dynamic Honda Sensing system. If you have any questions about the new 2019 Honda CR-V we would be happy to help, so please contact us here at Roberts Honda!